Chairman of Bideford CC Rod Hannam took delivery of three new covers for the club's Westward Ho! sea front ground this week thanks to a £3,000 grant from the ECB. Within hours of unloading them from the lorry, they were put to work protecting the pitch for Saturday's Devon League match as the rain poured down. 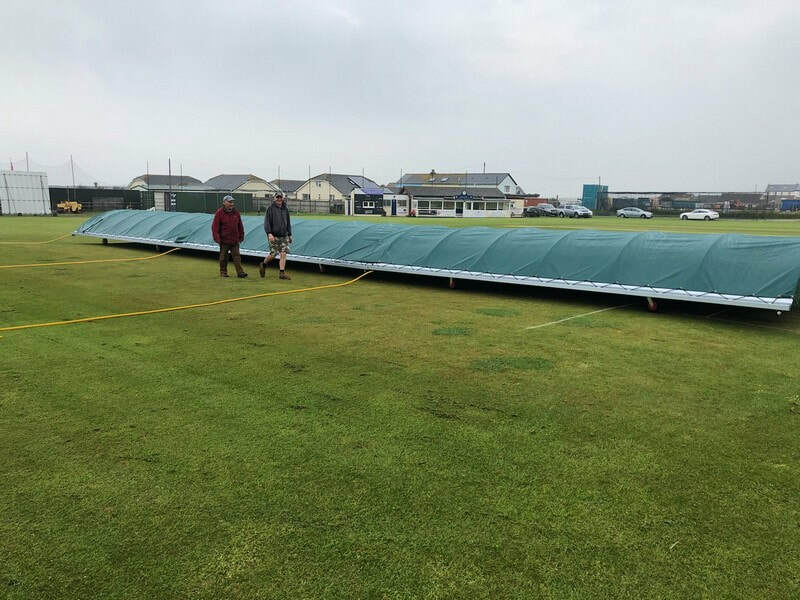 'Our two hard working groundsmen, Martin Hockin and Andy Davis, put in hundreds of hours' hard work each season to keep the wicket up to the standards expected of an 'A' Division club, but it's a constant battle against the elements coming in off the Atlantic', said Rod.